Before the trail even ended, I was already starting to miss it. I was almost reluctant to finish up the 100 mile wilderness and to summit Mt. 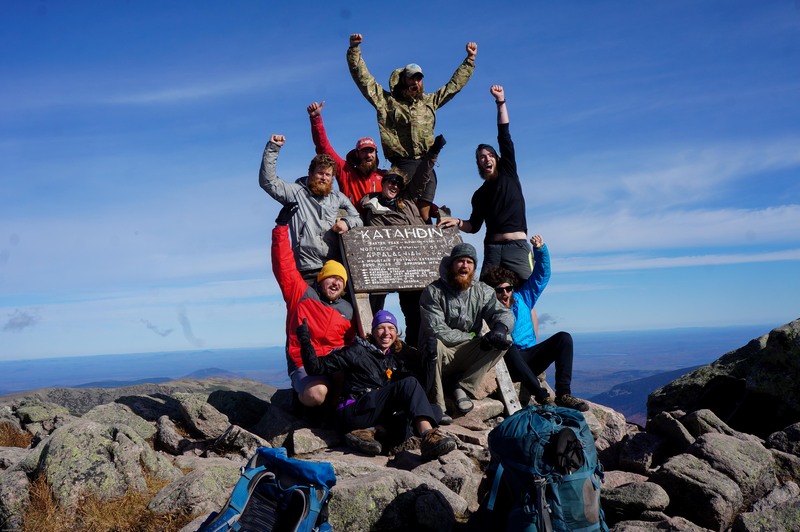 Katahdin because it would mean that my amazing adventure and awesome thru-hike of the Appalachian Trail was done. Then again, I was cold and hungry, and I missed my family, my friends, indoor plumbing, buildings with four walls and heat, and all of the tasty tasty food associated with civilization. As I got into the car with my mom to leave the mountains and head home, I was in a state of shock. It was over. I had hiked the entire Appalachian Trail from Georgia to Maine and was officially a thru-hiker. I was awash in the sights, the sounds, the foods, and the people of civilization, and it was overwhelming. Most people take some time to get used to all of this and transition from their carefree (only concerned about their own survival) life on the trail to the stresses and demands of modern society where there are a myriad of things that are constantly competing for our attention. Per usual, I found myself taking the crash course… I went from hiking the trail one minute to sitting in the hospital reviewing CT scans and consulting with my fathers surgeon the next minute. The minor issue that had landed my dad in the hospital as I headed into the 100 mile wilderness had gotten complicated… complicated enough that when I researched it I was only able to find a couple of cases similar to his in the literature. 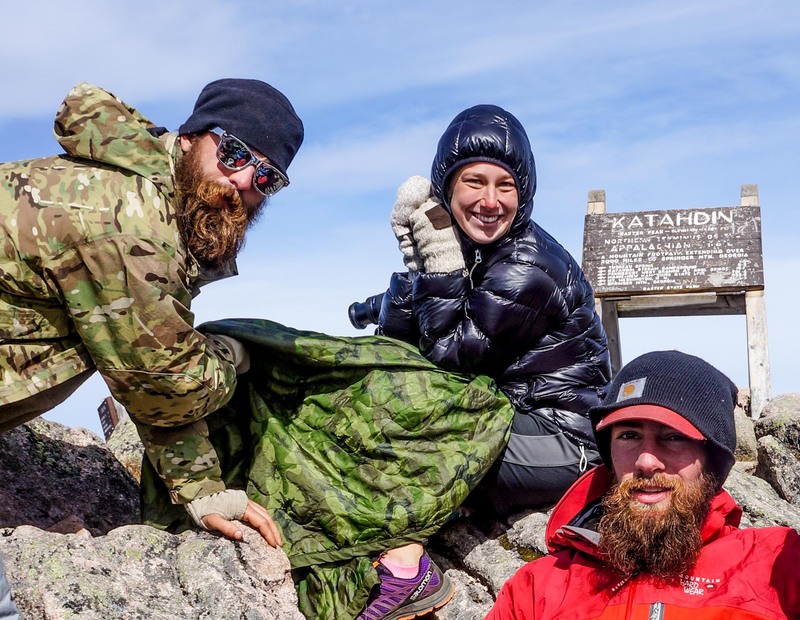 Research was what I did for a living before I headed off on my Appalachian Trail adventures and now, less than 24 hrs after I summitted Katahdin, I had unlimited access to high-speed internet and was researching my dads condition. It felt good to be learning and using my brain in ways that I hadn’t been using it for a long time, I just wished that the circumstances had felt less dire. I remembered a lot about my dad’s general condition from some courses that I’d taken at Harvard Medical School, but now I became a self-proclaimed expert in all of the nuances of his particular complications and his particular case. By all accounts he should have been getting better and improving day by day, but instead he was slowly getting worse. Why?! With my dad’s permission I reviewed his CT Scans, his medical history, his current lab reports, and his current medications before delving into the literature. I was determined to solve this medical mystery and to save my dad! It wasn’t until the wee hours of the morning that I finally figured out a potential reason why he wasn’t getting better. They had told us that the IV antibiotic that he was on was the ‘top gun. It was the newest, latest, and greatest antibiotic out there and there wasn’t anything better, stronger or more effective out there. Normally, roughly 99.9% of the time, that would be true for people with my dad’s condition, but things with my dad had gotten complicated. It’s not always good to be different and unique, he was the 0.1%, and they were wrong. The fancy new antibiotic that they were using was the only antibiotic in it’s class that the literature said would be completely ineffective when it came to treating my dad’s case. I knew that my dad’s case was unusual and complicated, but was it possible that a simple misstep in the choice of antibiotic was responsible for his deteriorating condition? The more I looked into it the clearer it became… it was not only possible, but probable. When I returned to the hospital the next day I double-checked the antibiotic hanging from my dad’s IV pole, it was as I remembered and was definitely the wrong antibiotic. We paged the nurse and told her that we wanted to talk to the doctor as soon as possible and then we waited… and waited… and waited for the doctor to come and speak to us. Waiting for the doctor to come and help ease the suffering of someone you care about is almost impossibly hard. In my experience pain does not breed patience, and if someone I know and care about is in pain I want to fix it and I want to fix it NOW! Unfortunately the doctors usually have at least a dozen other patients that are all looking to him/her to ease their suffering, so we had to wait our turn. The surgeon was the first doctor to wander into the room. He came to tell us some good news, whatever was going on with dad, it wasn’t going to require surgical intervention. Since he was there I told him my thoughts about the antibiotic. He was willing to discuss it with me, but he said that the hospitalist was the person in charge of that aspect of my dad’s care. He and I looked through my dads chart again and verified that I was right, the IV antibiotic they were giving my dad was not not the right one for his infection. The surgeon offered to back me up, and then helped me get a hold of the hospitalist. We found the hospitalist and before long the hospitalist and I were having a high level discussion about the nuances of each antibiotic in the class of antibiotics that my dad was taking. The hospitalist insisted that the antibiotic that was hanging was the correct antibiotic for my dad. I was frustrated, but I understand where the hospitalists was coming from. The antibiotic he was using was from the right class of antibiotics, and under normal circumstances it would be the right antibiotic, in fact in 99.9% of cases it would be right, but my dads lab reports showed that his case was different and in his anomalous case that antibiotic was ineffective. It was becoming obvious (both to me, my dad, the hospitalist, and the surgeon) that I knew a lot more about this class of antibiotics and this antibiotic in particular than the hospitalist did. This wasn’t at all fair to him since I only had one case that I needed to be an expert on and I had just reviewed all of the information about my dads case and all of the antibiotics in question the night before. I understood that this was an unusual case, I just wanted it to get fixed and wanted my dad to get better. Eventually the hospitalist switched tactics, hedged his bets, and reluctantly agreed to look into it the nuances of the antibiotics that we were discussing. I had made my point and then some, and though I didn’t think he was handling things with as much grace as I had hoped, I did have the feeling that he was going to go look into the antibiotics issue as soon as he left the room. At that point we quickly wrapped up our conversation, and the hospitalist left (hopefully to go look up the damn antibiotics). After the doctor left, my dad squeezed my hand and said, “I thought that you handled that well.” I looked at him with confusion, “What do you mean?” “Well, you didn’t get angry, you didn’t call him an idiot, and you gave him a way to save face. Not everybody would have handled it that way.” I wasn’t so sure, the wrong antibiotic was still hanging, and my dad was still sick. 20 minutes later (lightening speed by hospital standards) the nurse came in and switched my dad’s antibiotic from the ineffective one to the one that I had suggested. Would that be enough to turn the tides and set him back on the path to recovery? The short answer was yes, within 24 hours both quantitative and qualitative measures showed that my dad was getting better, but the complications didn’t end there. To our surprise when the weekend shift came on we had a new hospitalist, and a new plan of care. They were going to send my dad home that day, and even more surprisingly, they were going to send him home without any antibiotics at all! (I could only assume that the insurance company and the hospitalist that came in over the weekend didn’t realize that dad had only been on the effective antibiotics for 24 hours, they just saw that he’d been on antibiotics for over a week and was doing better now). I was skeptical (at best) about this course of action, but I hoped that I was wrong and that all would be well. Unfortunately, I was right and in less than a week dad was back in the hospital and undergoing emergency surgery. That should have been the end of it, but once again my dad was special. He was the 0.1% and ended up having complications from the surgery. As soon as they started getting those complications under control they decided to send him home again. I was skeptical. Sure he was improving, but he’d undergone some major interventions just the day before and I wasn’t convinced that he had really stabilized, but they assured us that he would be fine. Once again, within a week we had to bring dad back to the hospital where he was readmitted and put under the knife. You’d think that that would be the end of it, but no, dad ended up having complications from this surgery too. We were now dealing with layer upon layer upon layer of complications. I was definitely getting very, very tired of complications, but sometimes the road is long and arduous, and there were still a couple more complications that were going to crop up before they finally released dad from the hospital for what we hope was the last time. Instead of getting off of the trail and focusing on me and what I was going to do next, I was completely occupied with advocating and caring for my dad. I felt very lucky to get to spend this time with my parents, though the circumstances were far from ideal, but now that dad is starting to improve again, it’s time to start thinking about what’s next for me again. As the days since Katahdin have turned into weeks and months, I find myself missing the trail more and more. I miss the simple sense of purpose that hiking the trail gives me, I miss knowing that I am going to wake up every morning and do something that I love… I miss walking. Life on the trail was simple, it was beautiful, and I loved it. So, what do I want to do next? The answer is obvious, I want to return to the woods, I want to explore, I want to wake up every morning and walk. I’ve decided that I am going to continue to follow my dreams, which for now means heading west to the Pacific Crest Trail (PCT) this spring to embark upon a new adventure!